When the Senate Agriculture Committee passed their draft farm bill out of committee on June 13, they also passed an amendment with a programmatic tweak to the Environmental Quality Incentives Program (EQIP). 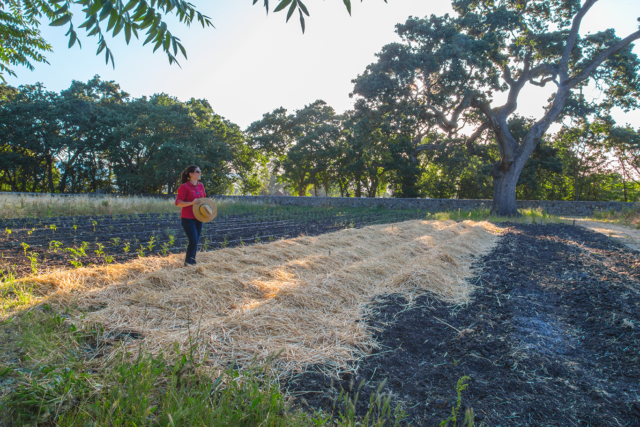 This tweak creates a “microEQIP” pilot program to make it easier for small farms to access this conservation program. Although it’s a small change in statute, it could have a big impact for young farmers, making it easier to get a small contract with the Natural Resources Conservation Service (NRCS) to put in cover crops, update irrigation systems, or switch to rotational grazing, to name a few. Although few people in the room knew it when the amendment passed, microEQIP is an ‘NYFC original’, hashed out over beers at the 2016 National Leadership Convergence, and passed on to the policy team to develop it further. 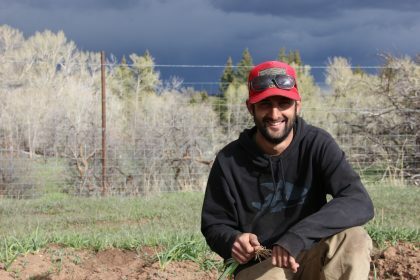 In this guest blog, Mike Nolan, one of the idea creators and president of the Four Corners Farmers and Ranchers Coalition, takes us through the microEQIP initiative and what it means for young farmers. Back in November of 2016, I had the privilege of attending the 2nd annual NYFC convergence in San Diego, CA. Farmers and ranchers from all over the country gathered to share ideas, make connections and do what they do best… talk shop. The night before I flew home to Southwest Colorado, I grabbed a beer with my good friend and peer Alex Funk, who was the Western Policy Director for NYFC at the time. Our conversation was focused around the farm bill, and more specifically how young, beginning, and small acreage growers could access established programs. The USDA microloan program, originally proposed by NYFC and, ultimately, permanently authorized in the 2014 farm bill, was a great example of the type of policy shift we were talking about. 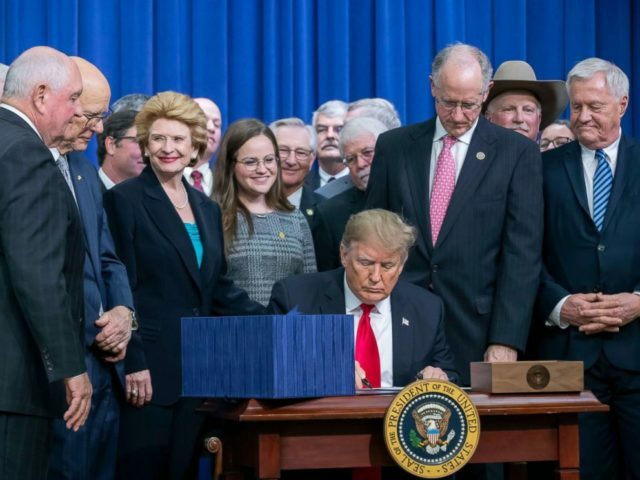 We were not asking for more money or a new program, but an adjustment to bring more folks who reflect the changing farmer population into USDA offices. My own farm signifies some of that change. I grow seven acres of vegetables in Southwestern Colorado. It is one of the largest mixed vegetable operations in a hundred miles. I am also a board member of the Mancos Conservation District and have a good relationship with the head of our local NRCS office. I’ve had conversations about how some programs are out of reach to young, beginning, and small acreage producers. There can be a lot of paperwork to apply for an NRCS contract, and when the payouts per acre are slim, it is just as hard for the producer to justify filling out the paperwork as it is for the NRCS agent. After Mike’s idea came to fruition, NYFC staff in DC approached the office of one of Mike’s Senators, Senator Michael Bennet, with the challenge young farmers and ranchers face when accessing EQIP. Sen. Bennet’s staff, with NYFC’s input, crafted a policy to create the microEQIP initiative, making it easier for small farms to apply for and receive conservation funding. In June, Senator Bennet introduced microEQIP as an amendment to the farm bill, which was adopted by the Senate Agriculture Committee. The bill is currently being debated on the floor of the Senate. The microEQIP initiative, with its streamlined application and approval process that is tailored to smaller producers, will alleviate much of my personal concern with accessing these programs. Additionally, it will create flexibility for both agents and producers all over the country, allowing more contracts to be made that are tailored to farmers like me. First, you never know how or when or where a good idea might come up, and there is no reason why your Representative or Senator should not hear about it. Second, as the participants in the agricultural landscape change, the way we approach making change in omnibus bills like the farm bill is very important. I believe that this amendment will be successful because we are not asking for new funding, calling a program obsolete, or demanding a major change. Rather we are working with the template that is there. This template works for most, but as the microloan program showed us, small tweaks to established programs can bring more folks through the literal threshold of USDA offices all over the country, thus increasing the viability of the agricultural system and inclusiveness of federal programs. Finally, being a member of NYFC with its staff, membership, and resources really elevates what one individual member can accomplish. We are stronger as individual farmers because of the diversity and strength of our member base with the National Young Farmers Coalition. Even when the Senate bill is passed (with microEQIP included), the work won’t be done, yet! The House and Senate will have to reconcile their two different versions, and we’ll still need your help to ensure microEQIP ends up in the final bill. Stay tuned for more updates on the 2018 farm bill process and how you can be involved. 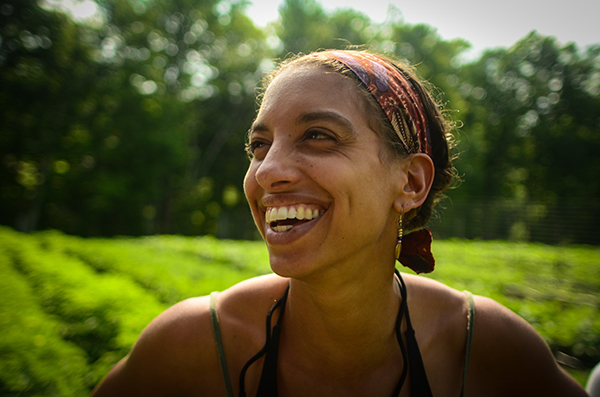 Leah Penniman on "Farming While Black"